I've mentioned my family room ladder before. And although I just love it, there was always something missing, I just couldn't pinpoint what. Not only is it the perfect compliment to my decor, but its added height balances this wall. I'm still looking for the perfect ladder! Absolutely love yours and the way you have decorated it! where is the G from. 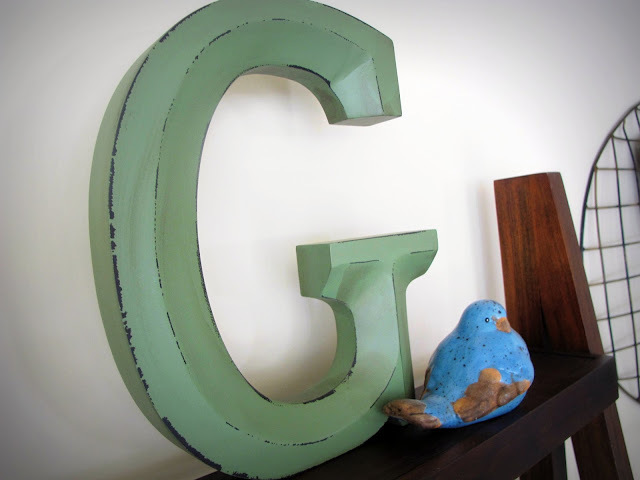 I am looking for cute letters for my house too!!! ohhh i absolutely love that! just stumbled across your blog and I'm glad I did! Love, love, love this girl!!!! 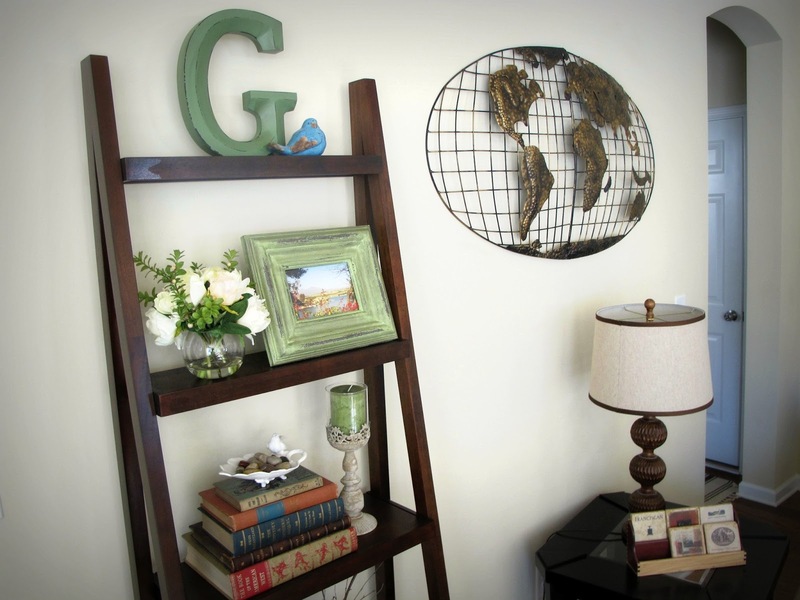 I love the ladder bookshelf! 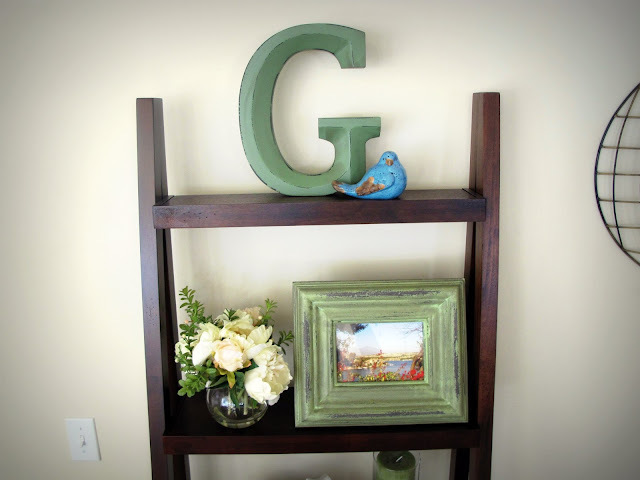 And you are so right, the G looks great up there and definitely adds to the height! I haven't been to Steinmart in so long. Might have to go by there tomorrow! Ha! I do love it!